The assets may be attached to physical evidence. 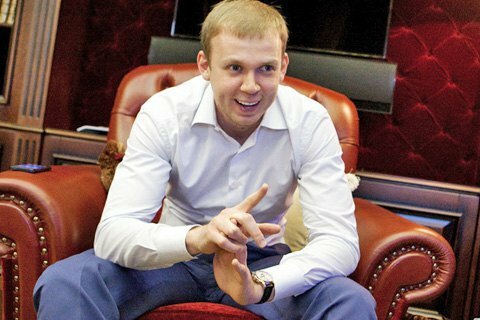 Kyiv's Pechersk District Court on 28 December arrested securities, corporate and intellectual rights, and some immovable property of the fugitive Ukrainian businessman, Serhiy Kurchenko. The court's ruling in the Single Registry says that a group of prosecutors and investigators of the Prosecutor-General's Office investigating the laundering of illegally obtained income asked the court to warrant the arrest of the assets of the Ukrainian Media Holding Company, whose end beneficiary is Kurchenko. The law enforcers motivated their petition by saying that these assets may become part of material evidence, since the investigation has reason to believe that these assets were acquired illegally. In addition, prosecutors said that the repayment of 160-mn dollar loan from the state-owned Ukreximbank to one a holding's company was in fact legalization of illegally obtained profits. In case these assets are proved as illegally obtained, they are subject to the so-called special confiscation procedure. The court granted the petition of investigators and prosecutors and seized the corporate, intellectual rights, as well as part of the holding's immovable property. Ukrainian Media Holding owns a number of publications and TV channels, in particular, Korrespondent, Komsomolskaya Pravda in Ukraine and the TV channel MI.